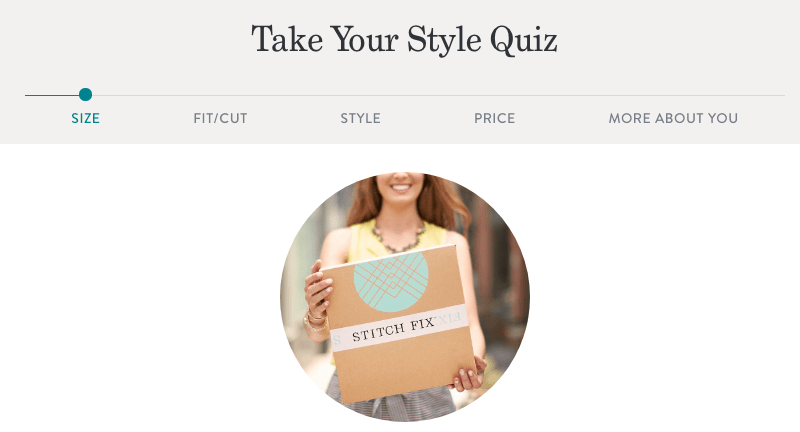 Stitch Fix is a personal stylist service where you will be sent 5 items curated by a personal stylist based on your style & size preferences. 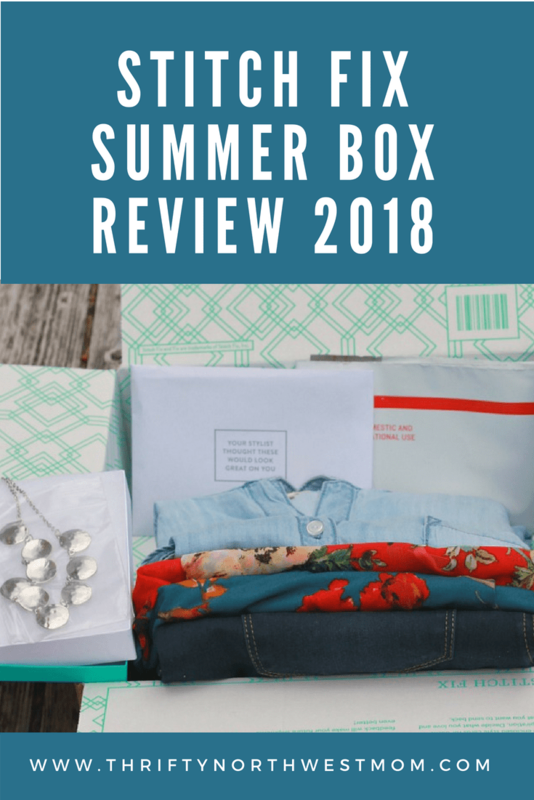 This is a review of the Stitch Fix Summer Box f0r 2018. 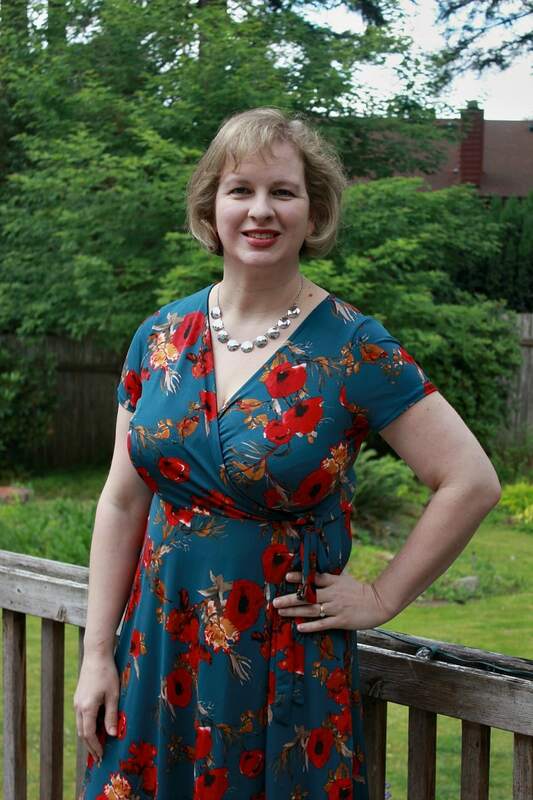 Ever since January, when I tried out my first Stitch Fix box, I have been having fun trying out a new box about every month. So far, I have kept at least 1 item from each box and I am ordering a box mainly to try to update my outdated wardrobe with some new, fresh pieces that are curated by a professional stylist. 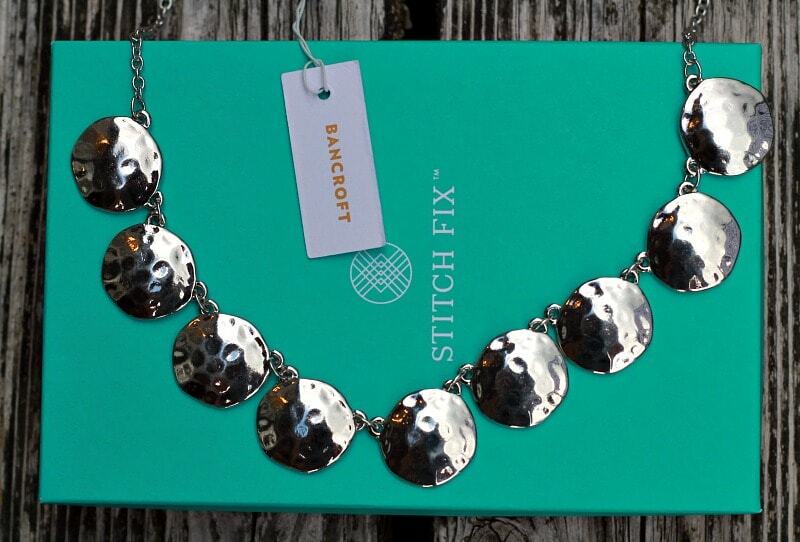 I am loving the Stitch Fix boxes so much that I asked for a Stitch Fix gift card for my birthday in May, so I was excited to get a box this summer so I could use my gift card if I found any pieces that I like. I’m sure many of you have heard of Stitch Fix, but if it’s something that’s new to you, basically it’s a service where you will have 5 curated items chosen by a personal stylist based on your likes & dislikes sent to you by mail, directly to your home. These items can be clothes, shoes & jewelry for you to try on in the comfort of your home so you can shop from home without doing any work. Online shopping is huge right now, but for me, it still involves a lot of work in trying to decide what I think would look good on me & sifting thru numerous sites to find items I like. So, I love having a stylist who does all the work for me & knows what items might be a fit based on my style & size preferences. It has been a big timesaver for me during a very busy season when I just haven’t had much time to shop for myself, either in stores or online. So far, out of my 3 boxes, I have always kept at least 1 item, so my $20 styling fee goes towards that item, so I am not paying any money for this service, so it’s a win-win for me. The prices can be higher, so that’s why I have not always purchased the items, but I like seeing the items they pick for me, even if I don’t purchase, as it gives me ideas of what looks I want to try out for myself as they may send items that I wouldn’t normally try on in the stores. I love wrap dress & this dress is so comfortable, perfect for summer, with a pair of sandals for a casual evening or dress it up with heels. 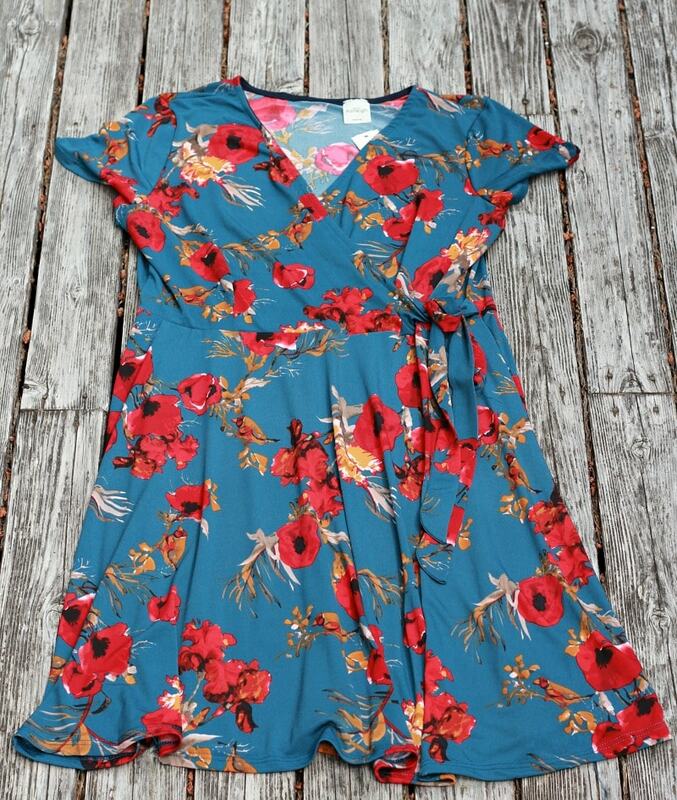 I think I am going to keep this dress just because I love the style & the colors. 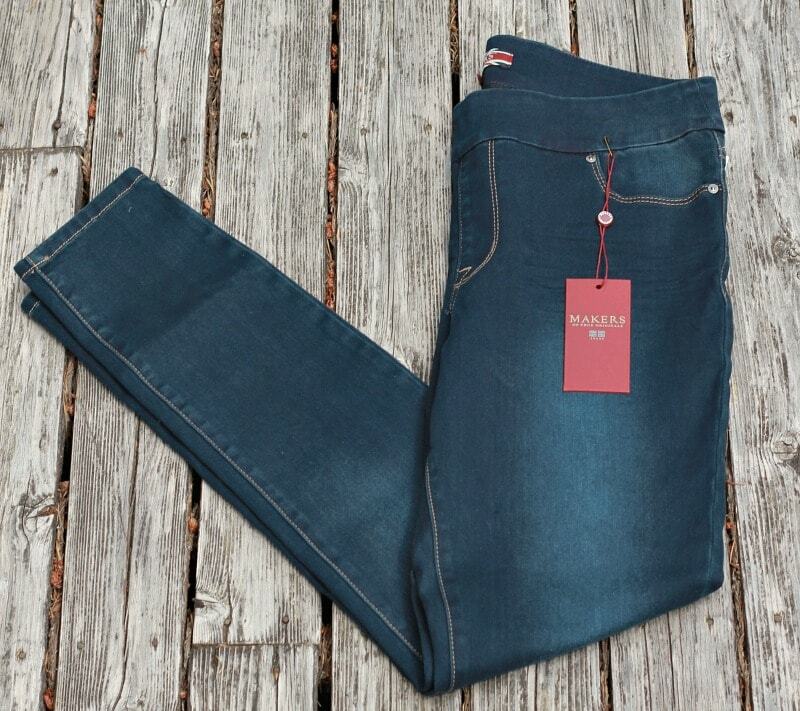 This pair of skinny jeans has an elastic waistband and it is the size that I always wear, but this is where different brands can all be so different with sizing, as this pair of jeans definitely does not fit, so no pictures of me wearing these jeans. :) So, I won’t be keeping these jeans. I know that kimonos are definitely a popular & trendy item to add a pop of color to your outfits, perfect for summer. This top is very lightweight & they show how you can wear it with a tank top & pair of cutoff shorts. Or wear it with a red dress or romper & heels for a dressier look. I think it’s a bit too bold in the colors & print for me, though, I was hoping to love it just because it’s a great layering item. 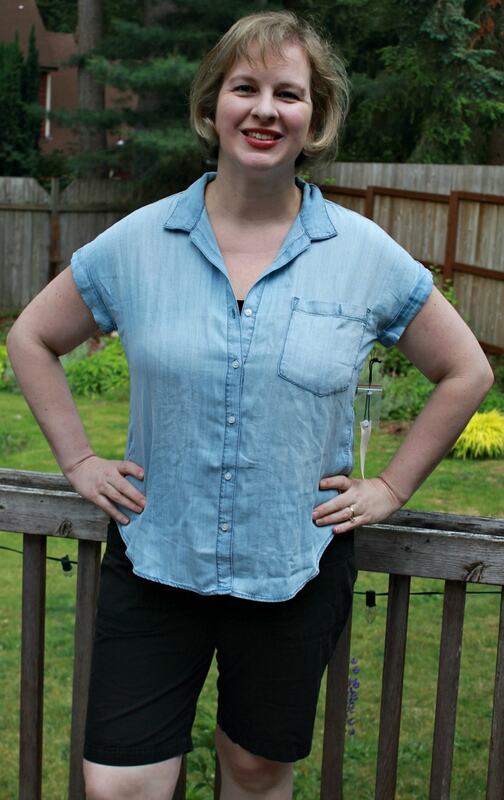 My stylist shared on the style sheet that this was the perfect must-have work-from-home top as you could pair it with leggings and boots for fall or black shorts & sandals for the summer. There really are so many different ways to wear this top, so it’s such a versatile piece & so comfortable too. The only reason I am hesitating on this is I didn’t think the fit was teh absolute best – if it was a lower price point, then I would keep it, but not sure I will with a higher price point for the shirt. Since I had a gift card from my birthday and the $20 styling fee that would go towards the price of an item, I decided I would get the dress for sure. I am still undecided about the necklace. I feel like I can find that type of necklace somewhere else at a lower price point, so I am going to look into it. But that’s what I love about Stitch Fix, even if I don’t get an item, it still gives me great ideas of what I like & what styles to watch out for when I do shop that might not be items I would typically look for. It is a big timesaver for me so I don’t have to go to multiple stores to try on a number of items or having to search forever online. I can get overwhelmed with all the choices when I shop for clothes for myself online. So, I love having someone do all the work for me! And I don’t have to pay a thing if I end up keeping at least 1 item from my box (otherwise, you will pay the $20 styling fee). So, that’s a win in my book! 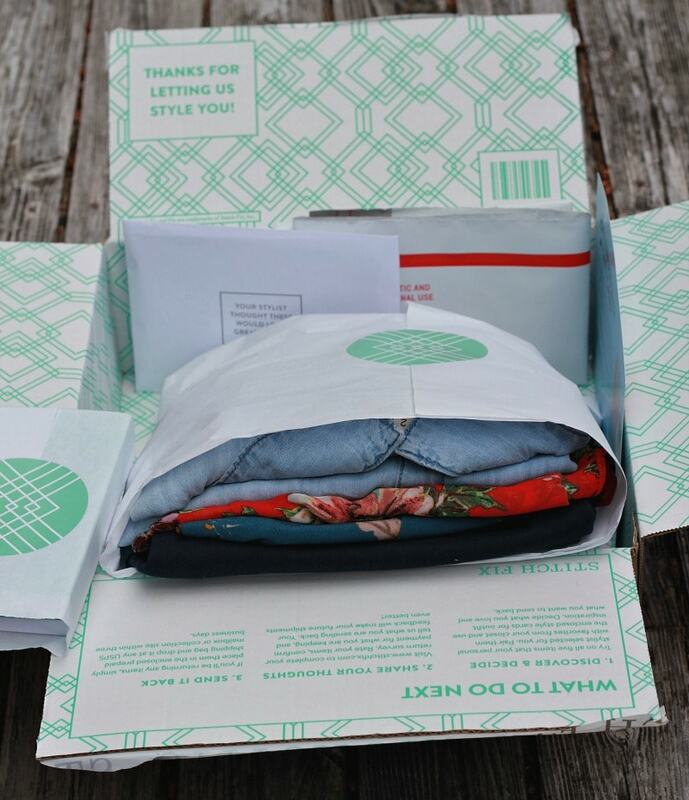 Tell us about your Summer Stitch Fix Box – we’d love to hear how you liked your items & see any pictures of your items, too!